Three area boys basketball teams will be playing for sectional championships today. Gloversville, Oppenheim-Ephratah/St. 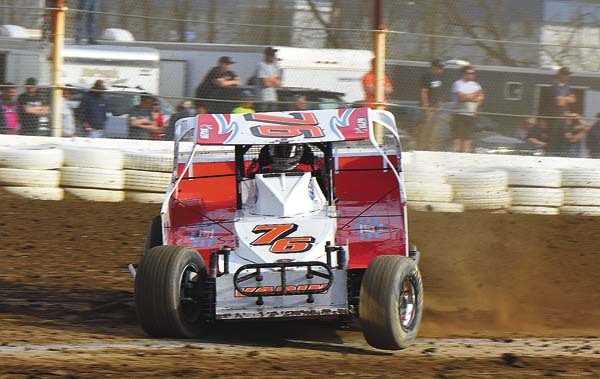 Johnsville and Wells all will be looking to take home titles. The Dragons will face Troy in the Section II Class A championship game at 1:45 p.m., while OESJ will face Germantown for the Section II Class D crown at noon. Both games will take place at the Cool Insuring Arena in Glens Falls. Wells will travel to Plattsburgh to face Willsboro in the Section VII Class D title game at the Plattsburgh State Field House at 4:30 p.m. The Gloversville Dragons got a taste of what it takes to make it to the Class A final four and play in the Cool Insuring Arena last year. Unfortunately, a 77-65 loss to Amsterdam in the semifinals, left a bitter taste but it also put a little more fuel on the fire to get back there this year only this time to get a victory. 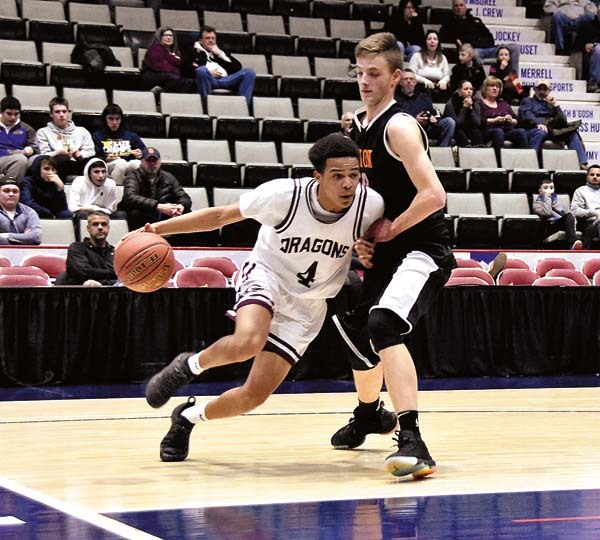 The second-seeded Dragons overcame a slow start Thursday to defeat defending Class A champion Mohonasen 50-41 to advance to the Class A title game for the first time since 2009. 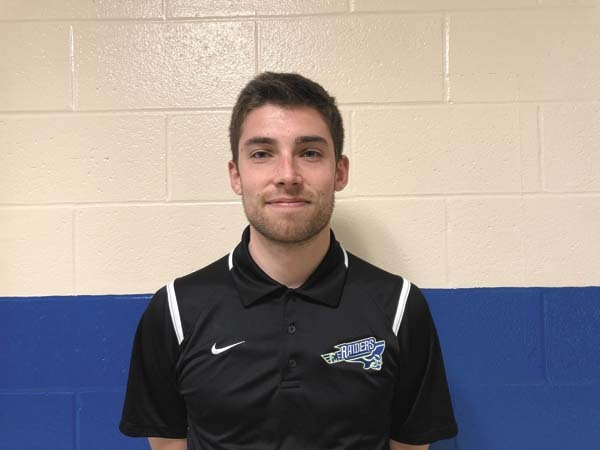 Fifth-year varsity coach Aric Kucel said the progression and now playing for the title means a lot to the Gloversville basketball program. Standing in the way of Gloversville claiming its first sectional championship since back-to-back Class B titles in 1988 and 1989 are the top-seeded Troy Flying Horses. Troy (18-4), which plays its league games in the Suburban Council and dropped down from Class AA this season, advanced to the championship game with a 74-61 victory over Mekeel Christian Academy, the 2018 Class C champion, Thursday. It is the first Class A title game appearance for the Flying Horses since they won the title in 2016. Kucel had the chance to watch the semifinal game between Troy and Mekeel Christian. Gloversville and Troy had a common opponent in Ballston Spa this season. Gloversville defeated the Scotties 52-44 in the quarterfinals, while Troy won 74-61 in a regular season league game. Troy is led by seniors Nazaire Merritt and Latyce Faison, who both connected for 19 points against Mekeel Christian. Merritt has 464 points this season including 63 3-pointers, while Faison has 331 points and 30 3-pointers but also showed he can distribute the ball, picking up five assists on Thursday. Senior Lateef Johnson has also contributed to the Flying Horses’ success this season with 259 points. Gloversville (20-2) is paced by juniors Dante Bouchard, Joey Rowback and Anderson Jones along with seniors Julien Deumaga and Andrew Stanfield. Bouchard hit for 21 points Thursday has 563 points so far this season and has hit 96 times from behind the 3-point arc. Rowback has netted 475 points, including 44 3-pointers, while Jones has proven to be a versatile player that gets the ball into the hands of the open player or can put points on the board as well. Deumaga is a force on the boards on both ends of the court that also can step up and hit the deep ball as well. Stanfield and sixth-man Kadyn Ruggeri give the Dragons the spark they need to keep the energy-level up for a full 32 minutes. Today’s game was originally scheduled to be played at 4 p.m. but has been moved up to a 1:30 p.m. due to pending weather conditions. Having come up short in two of the last three Section II Class D title games, Oppenheim-Ephratah/St. Johnsville will look for redemption today when it faces Germantown for the title. The top-seeded Wolfpack lost to Whitehall in last year’s title game and to Argyle in the 2016 title game. St. Johnsville last won the Class D title in 2007 before it merged with Oppenheim-Ephratah/St. Johnsville in 2013. OESJ (19-3 overall) advanced to the final with wins over eighth-seeded New Lebanon (50-38) and fifth-seeded North Warren (50-32). In the semifinal win over North Warren on Thursday, Jaedyn Logan-Dillenbeck finished with 15 points to lead OESJ, while Tyler Leon had 14 points and eight rebounds. Travis LaFountain added 10 points and 10 rebounds for the Wolfpack. Jack Brundage scored six points for OESJ. He also had three steals and two assists for the Wolfpack, who have won their last 10 games. Defensively, OESJ held North Warren to just 13 field goals. All season, defense has been the Wolfpack’s calling card. In 12 of their 19 wins this season, OESJ has held the opposition to 40 points or less. The Wolfpack’s grinding style has been effective this season, if not always aesthetically pleasing. On its way to the title game, Germantown (16-5 overall) posted a 72-59 victory over seventh-seeded Northville in the quarterfinals and a 44-38 win over third-seeded Fort Ann in the semifinals. 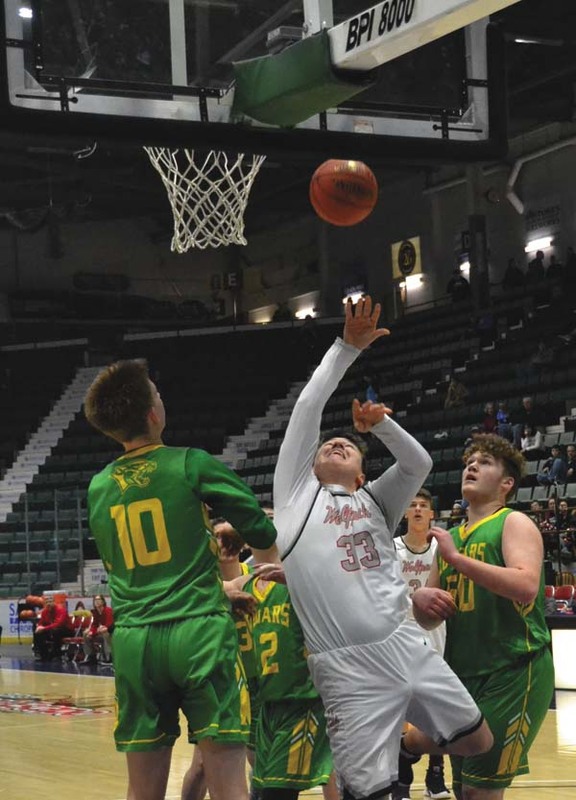 Dan Kellenbenz finished with 15 points and six rebounds for the Clippers against Fort Ann on Thursday, while Bryan Bathrick added 13 points, nine rebounds, three steals and two blocks. The second-seeded Clippers won Section II Class D titles in 2010, 2011 and 2015, and reached the 2014 title game. OESJ and Germantown last met in the 2016 semifinals, with the Wolfpack claiming a 44-41 overtime victory. The winner will face the winner of today’s Section VII Class D title game between Wells and Willsboro in the regional finals next Saturday at Hudson Valley Community College in Troy at 2:45 p.m. If nothing else, Wells enters today’s title game well rested. The top-seeded Indians have played just once since Feb. 14. That game was Wednesday’s semifinal victory over fourth-seeded Schroon Lake at AuSable Valley high School in Clintonville. Prior to its 58-47 win over the Wildcats, Wells hadn’t played since posting a 75-65 win over Crown Point in its regular-season finale Feb. 14. Despite the long gap between games, the Indians maintained their red-hot form in Wednesday’s semifinals, posting their 15th straight victory to improve to 16-5 overall. 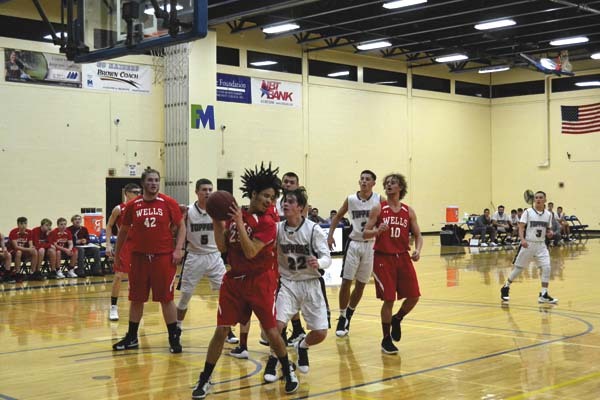 Coby Stuart led Wells with 25 points in the win over Schroon Lake, while Tre Zimmerman had 17 points. Shane Kennedy added nine points for the Indians. Wells will be playing for its first sectional title since 2002. Like the majority of their season, the Indians will hit the road in search of a title, making the long trek to Plattsburgh State to play their 15th game away from home this season. Willsboro (16-6 overall) is one of just two teams, along with Chazy, in the Class D bracket that Wells did have a win over, as the Indians didn’t face the Warriors or the Eagles during the regular season. The Warriors last won a Class D title in 2012 and was the last team to claim a title before Moriah, which moved up to Class C this year, won the last six Class D crowns. Willsboro notched a 78-78 victory over seventh-seeded Elizabethtown-Lewis in the quarterfinals and a 55-37 win over sixth-seeded Bolton in Wednesday’s semifinals. Cody Ahrent paced the Warriors with 13 points in the win over Bolton, while Trevor Bigelow and Johnny Schier each scored 11. Bigelow grabbed a team-high seven rebounds, and Jared Joslyn and Stephen Leibeck in the win. In the quarterfinal win over Elizabethtown-Lewis, Joslyn had 18 points and Regan Arnold had 16 points. Oliver Lee and Bigelow each had 11 points for the Warriors. The winner will face the winner of today’s Section II Class D title game between Oppenheim-Ephratah/St. Johnsville and Germantown in the regional finals next Saturday at Hudson Valley Community College in Troy at 2:45 p.m.